I hope this post finds you well and on the way to achieving your weekly goals! I wanted to reflect on the experience from beginning to end, as well as inform you of some things, so let’s get down to business. This past weekend, Unguarded released in print and on the Kindle. It has been a wonderful seven months since beginning the writing process in June. Throughout the early summer, I planned the book in skeleton form, getting the main plot ideas down before moving forward. From June to September, I spent quite a bit of time writing, applying tips and tricks I’d learned along the way. One thing I also tried to incorporate this time around is extending the length of manuscript. This was a common suggestion in the reviews from Resistant, so I wanted to listen to that and act on it. After completing the first draft, I gave the manuscript to two of my friends. They acted as my beta readers and editors, one of them actually being my editor on the first book. While I awaited their feedback, I contacted my cover designer and got that process moving. Knowing what I wanted this time around, I received the final cover less than a week from when I placed the order for it. If you are interested, check out BookFuel for their author services. Soon after that, my editors/readers each gave me some great feedback, helping me shape my story into the second draft. It was in that draft that much of the story kept its form, remaining that way all the way until publication. The third and final draft (in terms of major changes to the manuscript) was finished around Thanksgiving. I rested my writing mind during the holidays, which is a good piece of advice for aspiring writers. Taking breaks is not a bad thing! I then read through the third draft two more times before the middle of December arrived, tweaking and amending parts of the story that needed it. The biggest aspect I tried to pay attention to was the dialogue. This has been an ever-changing aspect of writing for me in the sense that I have been putting much effort into trying to make it the best it can be. I then gave the manuscript to my editor for three weeks (December into January). He sent me really helpful feedback and answered a few questions after I went through his changes. With the manuscript very close to being complete, I did one final read-through. Again, I focused on dialogue, as well as keeping an eye out for grammar and spelling one last time. I finished this item on the checklist the day before I needed to submit the manuscript to Amazon (for the pre-order). After submitting the formatted ebook manuscript to KDP (.mobi files for Kindle, by the way), I formatted the print document. Createspace provides templates that make formatting easier on the indie publisher. You can check them out here. I wanted to streamline the look of my books, especially those in the Faces of the War collection, so I simply made the formatting for one book and saved the same document as different files for each of the books. This may take you some time, but it will help improve the image of your books, which improves the quality of your brand. When the time came to submit the print version to Createspace, I did that with much excitement. The next morning, I received an email from Createspace stating they found no formatting errors and that the book’s publication awaited my “O.K.” I gave the final submission through my profile on Createspace on Friday evening of last week. Even though the prompt then said it would take 3-5 business days to process, the book still went live Monday morning. Sometimes is just works out for the better in that way. Overall, I was very happy with my writing, editing, and publishing experience this time around. Writing has given me such joy, and I hope that the content I distribute does the same for my readers. I am very excited for the possibilities in store for me in 2015, and I can’t wait to get moving on the next project. One final thing is this: if you are a new or somewhat new writer, and find yourself discouraged or unmotivated, please do not lose heart. All it takes it just to work a little here and a little there to get into a rhythm. And if you’re not feeling the writing vibe at the moment, then do some reading. Anything you can do to stimulate your creative mind will help you out. Don’t ever tell yourself you can’t do something just because it’s 45,000 words away. You can do it! I hope you will check out my books, especially Unguarded, and tell me what you think in a review! Pre-order: this will remain open until Saturday, January 24, which is the release date for the book. If you pre-ordered Unguarded for your Kindle, it will automatically be delivered to your device on that day. At some point after the release, the price will go up to the usual amount of $4.99. Resistant: though this book and Unguarded aren’t directly related, they’re part of the same collection. As such, I wanted to make my first book available at a cheaper price on the Kindle and encourage you to pick it up. You can easily find it here. I plan on keeping the book on sale until the end of January. My hope is that you will pick up both and enjoy reading both, but I am grateful for your interest in my work either way. Newsletter: if you aren’t subscribed to my newsletter already, I encourage you to that as well. You can email me at [elikale.author@gmail.com] or click on this link. The next newsletter will be sent out this Wednesday, January 21 and will contain details about Unguarded‘s release – details that won’t be revealed right away on this blog. In addition to details, I will be having book deals/giveaways and other things of the sort, so there’s no real reason you shouldn’t be on the list. Check it out today! The next volume in this collection is underway, with a tentative release time in the spring. As the weeks go along, and after Unguarded is launched, I’ll give this more attention in the blog posts. If you haven’t yet read or seen my first volume on Amazon, you can easily find it here. I have already begun to brainstorm ideas of what to write after I finish my WWII collection. I really enjoy writing these books, so I want to be sure that I finish what I started and complete the collection before wholly moving on to another big project. I can say, though, that two projects have been fairly fleshed out in terms of story ideas and certain plot details. I’ll have more on this in the coming months. I’d like to express my gratitude to you, my readers and followers, for your continued support and encouragement throughout the writing process. It means so much to me! When next I post, a new book will be released with a new story to be experienced. I hope you will experience it with me. This week marks the time of “zero hour” for the Kindle version of Unguarded. By this, I mean that I have to submit the final version of the manuscript to Amazon by Wednesday so that the book will be ready to launch when the pre-order finishes on January 24th (the release date). I will spend today and tomorrow doing one final read-through of the MS, in which I’ll simply look for grammatical errors and other minor things like that. Nothing in the story can change at this point. My aim for funneling readers (current and potential) to my books is to do it through my website so they can see my other content, but this link will send you directly to the Amazon page. I am getting very excited to launch this book, the second in my WWII collection. 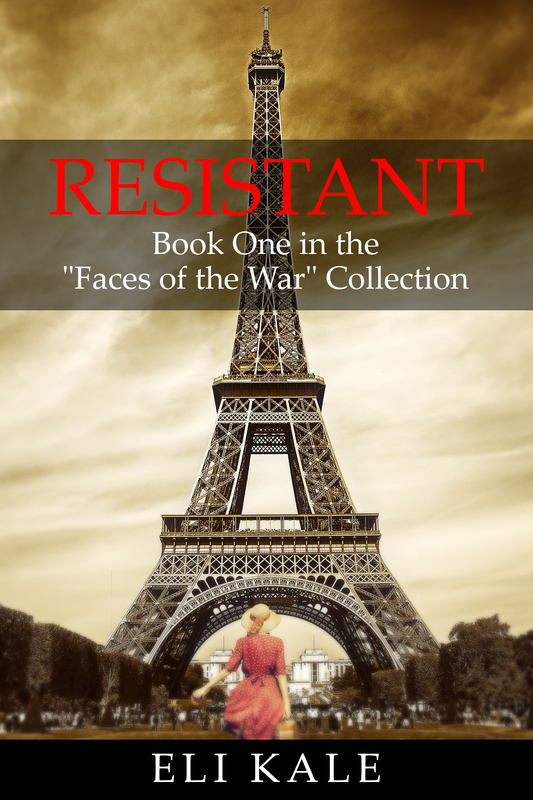 If you haven’t yet read my first book, Resistant, I encourage you to check it out. Remember that you don’t have to read the first book in order to understand the second one, as they are separate stories. I wrote a post in December about my writing process, and in that post I mentioned that I want to write a post on my self-publishing experiences so far. I am thinking, at least at this point, that that post will be written sometime in the weeks immediately following Unguarded‘s launch. I want to devote time to finishing that project, and then I can spend time pouring out some information about my experience. Another reason I’d like to wait until then is because part of that post will include more details on the editing/refining part of the publishing process, and I’d like to include some things about Unguarded‘s editing/refining process in there. You can probably expect that post to come sometime in February. Again, the release date for Unguarded is Saturday, January 24, so be sure to pre-order the Kindle version in order to save a buck. The print version’s release should coincide with that of the Kindle. I’ll post another big reminder in next week’s blog post. Thank you for all your encouragement and support as I trek through the journey of writing and self-publishing. I truly enjoy it, and I want to help others who have a passion for it to enjoy it as well in their own way. If you are a fellow author, feel free to contact me whenever you please – I always enjoy networking with other authors! I spoke with my editor last night and he said he will email the edited manuscript of Unguarded to me by this evening. That means I will work on amending the story where needed over the next handful of days. I must submit the final MS to Amazon on Tuesday evening to meet the pre-order deadline of ten days prior to release. Once that happens, I’ll send out more details about the release itself. As for the story, I anticipate that my editor will send back some great feedback from which I can grow in my writing, ultimately striving to be better with each project. If you are new to writing, I strongly encourage you to have a few friends or colleagues that can read your work (or parts of your work) and provide feedback. You can’t expect to improve your craft if you don’t know what to improve, right? For the time being, the book is in its final stage of publication, and I couldn’t be more excited about it! 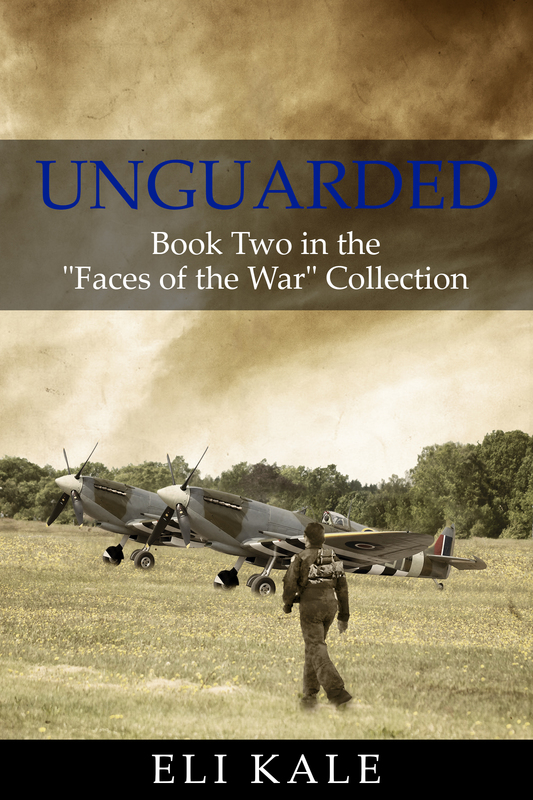 Once I get Unguarded launched, I will continue writing in my Short Story collection as well as bits and pieces of the next book in the Faces of the War collection. I truly enjoy doing this, and I don’t see myself stopping anytime soon. While you await the release of my second book, please check out the pre-order page on Amazon. The book is available for the pre-order price of $3.99 but will go up to $4.99 on or around the release date, so I suggest you pre-order your copy now! Once you do, the book will automatically be sent to your Kindle on January 24th when the book goes live. I’ll have more details about the publication process in next week’s blog post. As I’m sure you’re aware, I just returned from a trip to Europe. My wife and I were chaperones on a high school trip that lasted ten days, with stops in Germany, Austria, Italy, and Switzerland. It was a very good trip, with only minor problems along the way. The students enjoyed themselves, as did the other adults who went. I have already seen much of what was to be seen, but it was definitely worth the time to further explore the cities and sights of our destination. My favorite city on this trip was Munich. Having been there twice before, I was familiar enough with the area to feel comfortable walking around. My wife and I bought some souvenirs to bring home as gifts to our family members, had lunch at a nice little restaurant, and got to tour the BMW museum. It was a very fun and enjoyable day, and I’m glad we got to be there. The rest of the trip was enjoyable as well. We made stops in Rothenburg, Salzburg, Venice/Padua, Verona, Lucerne, and Heidelberg. Much to my surprise, I bought an Italian-made scarf in a Verona market. I say “surprise” because I never saw myself as a guy who could pull off wearing a scarf. But my wife encouraged me to get one, and I ended up really liking it, not to mention that it helped ward off the cold temperatures we experienced while there. It was definitely a great way to bring in the new year! That’s all the big news I have right now, but I will keep you informed in next week’s post. I truly hope the year is off to a great start for you, and that you find yourself accomplishing something you set out to do.